A new year means a fresh hunt for free food, and Wendy's has already tipped us off to a major score. 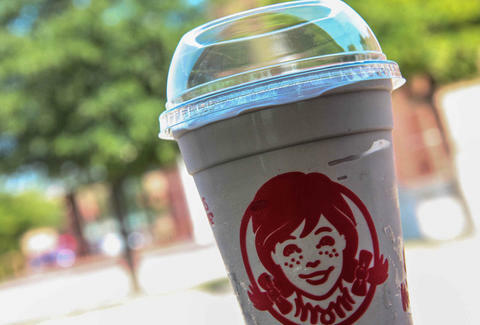 The fast-food giant just announced the launch of their second annual National Frosty Key Tag Program, a deal which charges you $1 for all the Jr. Frostys you can stomach for an entire year. Yeah. Show up at any Wendy's and you can purchase a Frosty Key Tag for a buck. Once you've acquired your magic token, all you have to do is flash it whenever you make a Baconator run, and you'll also get a comped Jr. Frosty. The offer runs throughout 2015 while supplies last. And just for further incentive, $.90 of each dollar goes towards the Dave Thomas Foundation for Adoption, which helps find families for foster kids across the country. Everyone wins, except maybe your waistline. Kristin Hunt is a Food/Drink staff writer for Thrillist, and is always after free Frostys. Follow her at @kristin_hunt.